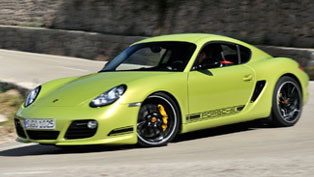 "The Most Sporting Road-Going 911" – under that title we find the latest addition to the Porsche's 911 range. 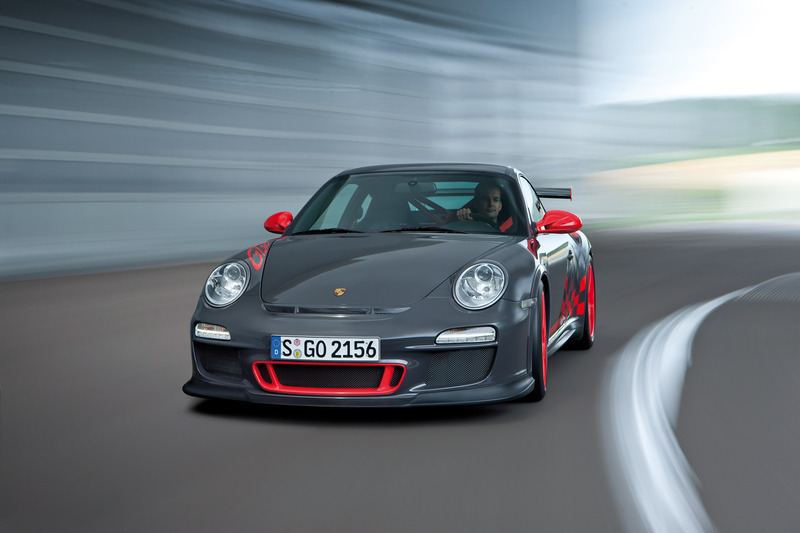 Named 911 GT3 RS the new Porsche delivers even more engine power, offers lower weight and features shorter transmission ratios as well as body and suspension elements upgraded to an even higher standard. 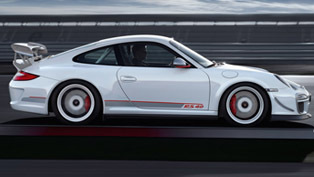 The 911 GT3 RS engine is based on the one featured in the 911 GT3, but displaces 3.8 instead of 3.6 litres, delivering even more power and revving up even faster and more dynamically. 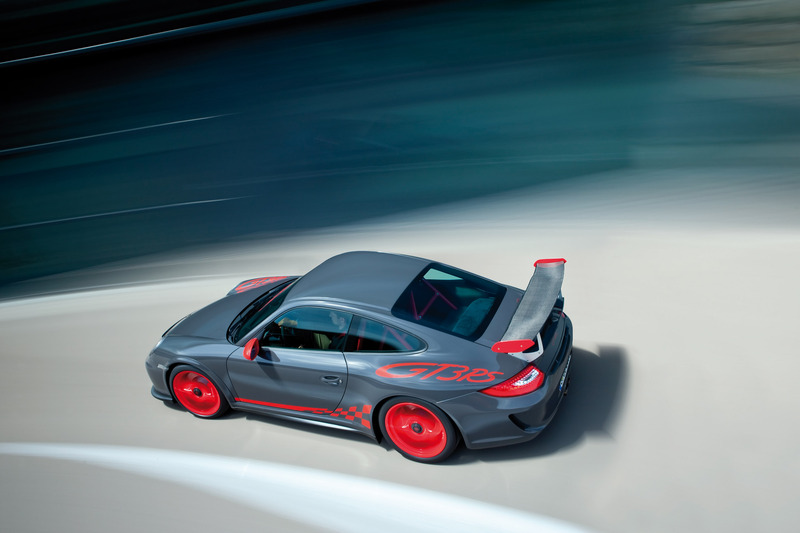 To further improve its sporting behaviour, the new 911 GT3 RS comes for the first time with a purpose-built and specially set up PASM suspension, with wider track not only at the rear, but also on the front axle. 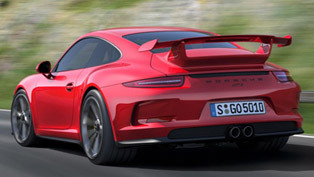 Accordingly, the body of the new 911 GT3 RS is wider not only at the rear, but also at the front through the use of additional wheel arch covers. 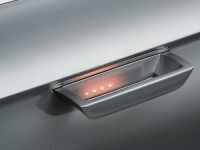 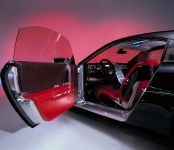 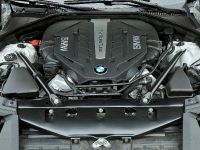 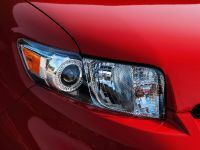 The dynamic engine mounts featured as standard also serve to improve the car's driving dynamics to an even higher level. 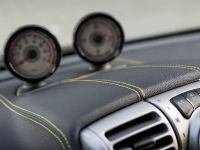 Depending on driving conditions, the mounts change in their stiffness and damping effect, improving the connection between the engine and the body when driving under very dynamic conditions. 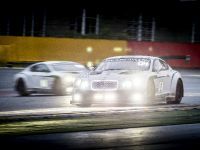 As yet a further point the car's aerodynamics develop even more downforce than on the GT3, again benefiting the qualities of the car on the race track. 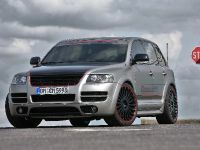 Racing qualities are also why Porsche is introducing another new option in 2010, a lithium-ion battery delivered with the car and, replacing the conventional lead battery, reducing weight by more than 10 kg or 22 lb. 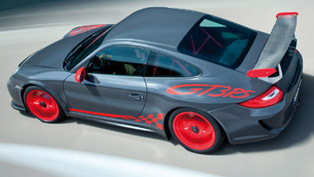 The new 911 GT3 RS shows its close connection to motorsport also through the dynamic looks of the car borne out in particular by its low ride height, the new, extra-large carbon-fibre rear wing with its specifically designed wing supports made of aluminium, the characteristic dual tailpipes on the extra-light titanium sports exhaust, as well as special front and rear parts exclusive to this model. 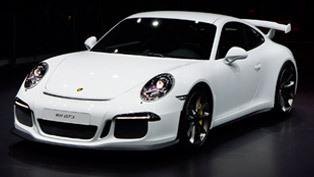 Sales of the new Porsche 911 GT3 RS are starting in Germany in January 2010. 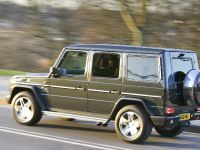 The Euro base-price is Euro 122,400.- without value-added tax and national specifications.